This post was originally written in 2013. It has now been updated for its original intent. On October 17th 2018 Cannabis Prohibition ended in Canada. Now that Cannabis is legal in Canada every household is allowed to grow 4 plants at a time. 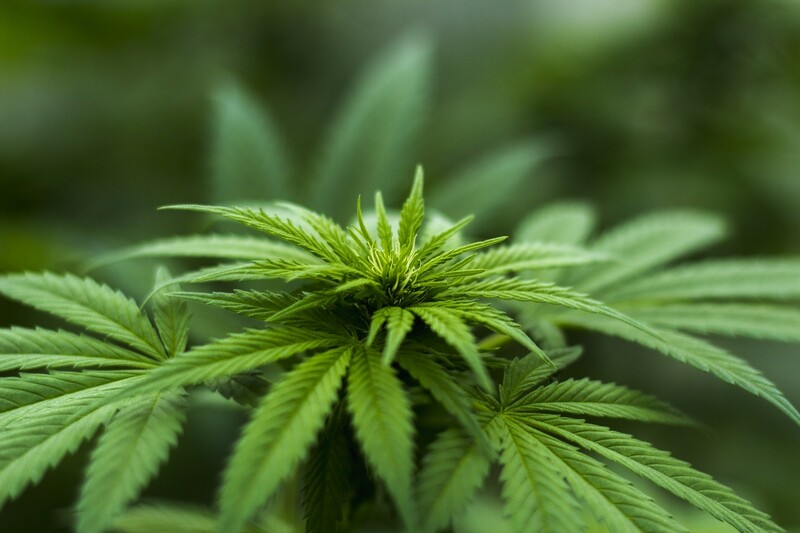 Even though it would be great to grow outdoors there are few places in Canada that you can successfully grow Cannabis outdoors from start to finish, even with the best strains you need to get a head start. The same can be said for some of the vegetable crops you can grow. Things like tomatoes, peppers, celery and melons do not have enough growing days to flower and fruit if planted outside with the rest of the garden in May in many locations. For my gardening location, a zone 3B to have success I have to start those seeds under lights mid January. Living in Alberta makes for a very short growing period with gardens usually going into the ground around the 18th of May and the first hard frost usually by the second week of September. That is roughly 16 weeks. To have a heartier harvest I start my seeds in January and plant semi mature plants outside during the first week of June. Depending on summer conditions, that may not even be enough of a head start for fully ripe crops of peppers, tomatoes and melons. Growing indoors allows you to completely control the growing environment from the sunshine to the wind and temperatures, you are in control and your job is to recreate Mother Nature. .
With such a short season, growing indoors is a fantastic alternative. With a little bit of thought and good planning you can grow successfully year round. It does cost a bit to initially set up your grow room but with the capability of growing home grown produce and cannabis year round you will be saving money and have an endless healthy, chemical free supply of some of the best vegetables, herb and fruits available. If you decide that year round indoor growing is not an option I recommend that you consider starting your seeds indoor for a successful flower and harvest of any plants that will not flower and fruit in a short season. This article detailing starting seeds indoors to extend your growing season will get you started off on the right track. Not sure how long your outdoor growing season is? I have talked about how you can find your specific growing season earlier in the Grow Your Own Food series. Check out Canada’s Frost Chart to determine how long the growing season is where you plan to garden. This is just a quick run down of what it takes to put together a grow space. If you have any questions about what is discussed here or anything I did not cover please leave a comment or shoot me an email! 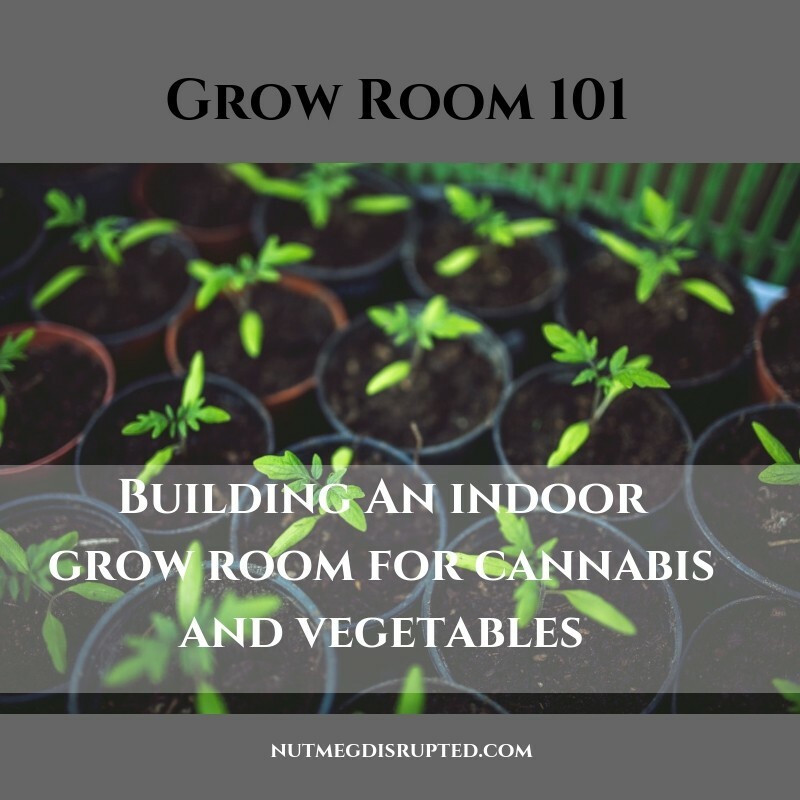 Talking about grow spaces and indoor gardening is one of my passions and I would love to hear from you. 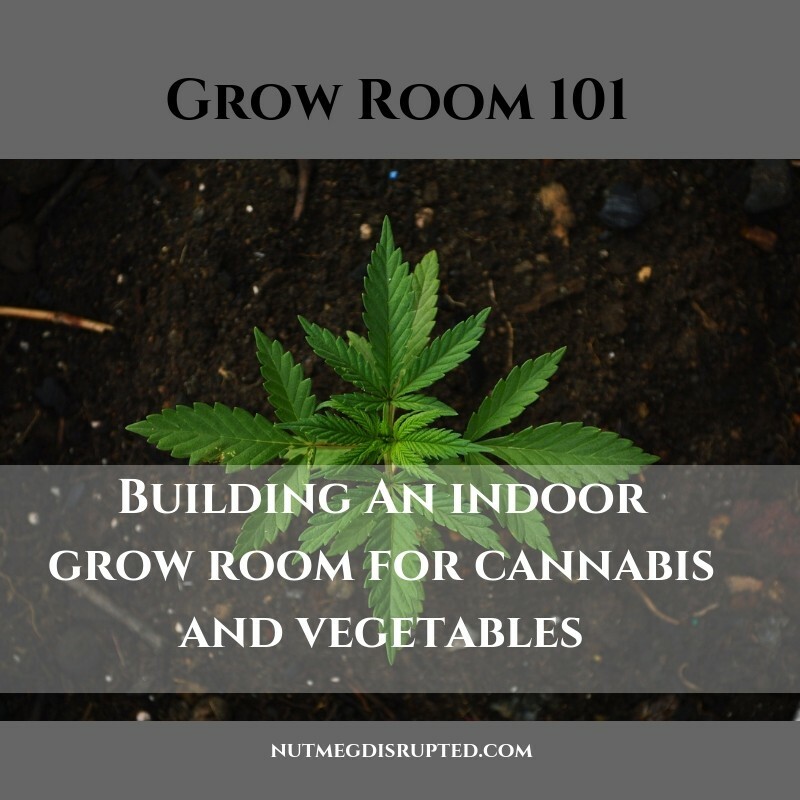 You have a few things to consider when putting together your grow room. The space I am talking about below is based on an 10×10 foot room. That is some serious gardening! We will discuss 2 types of light. There are many great lighting options on the market, depending on how much you want to spend. Keep in mind, there are all sorts of levels of investment when looking at growing indoors. The lights discussed here are the less expensive route to go. With multi use ballasts this lighting combination works well. You will need 2 lights for your space. The first is a Metal Halide. Metal halides are the most efficent source of white light availble on the market. They come clear or phosphor coated. Go with the clear. The coating changes the specturm a bit. Clear is better. Next you will need a HPS – High Pressure Sodium light. They are also one of the most efficient lights available. Those 2 lights combined will give you the perfect light spectrum for your grow area. I used strictly 1000 watt bulbs. Yes that is a lot of light. Your $$$ value is best spent on the 1000 watt systems. You could go with 400 watts with each bulb/system, but considering the cost of each system will be very close to the price of 1000 watt systems, the 600 watt jump with each bulb seems to make sense for getting the best bang for your buck. There are ballasts available the are able to run both Metal Halides and High Pressure Sodium lights. Enquire where you buy grow lighting equipment. Look at it this way – Would you rather garden under full sun, or a cloudy day? That is why I prefer 1000 watt lights. They are amazing for indoor gardening! Do you need 1000 watt lights? Perhaps, that is one of your choices for indoor gardening. In a future article we will discuss LED grow lights and what they bring to the grow room. You need to be using shades with your lights. I prefer big round 4 foot shades though the type you need depend on the style of lights you are running. One thing is certain, they are an absolute must. They push 100% of your light down and out. They increase the light intensity substantially. Try and find shades that are white on the inside, the more light reflection the better. Both lights will need a shade. They are quite inexpensive, so be sure you get them. They make all the difference in the world. Using a 1000 watt metal halide with a small 2 foot shade and no reflective walls give you and effective growing area of only 36sq feet. Using that same light with a 4 foot hood and flat white walls your effective growing area has now increased to 100 square feet. Big shades mean much more powerful light. What is on the walls in your grow space? You have a few choices. If you are painting I do suggest the use of flat white paint. Using a flat white will bring the reflectiveness of the wall space back into the growing area by 85 – 93% Want to kick that up even more. There is a white agricultural plastic on the market. It is black on one side, white on the other. We are talking 90 – 95% reflection of light back into the space! Any farm supply store will carry it. It is used for silage. Bonus, it protects your walls from any moisture. * Note: this article was originally written when cannabis horticulture was illegal. Since the end of prohibition on October 17th, 2018 in Canada, there has been a boom of gardening supplies now available from farm supply stores to your local hardware. Everyone is cashing in on the growth of the indoor gardening movement. Everything you now need to grow indoors is much more readily available almost every where, which is great for those who do not live near larger centers. Each bulb emits a different spectrum which affects the growth of the plants differently. As with any plants it will grow towards the lights. But we want even growth. Now you could go in and rotate your plants every few days, which works. For a while. But to really make it the ultimate indoor grow space you want to emulate the rise and fall of the sun. To do this you need a light rail/tracking unit. With using a light rail/tracking unit to move the light you will have an increase of 25 – 35% of light coverage with using one light rail to move the lights over the garden. With just simply moving the lights over the garden it emulates enough light as if you were actually using 3 bulbs. Now that is getting the absolute most of your space, money and light. You will need to make the rail that you hang the lights off of then attach it to the tracking unit. It slowly goes back and forth over the garden. Get creative here, you should be able to find a nice light metal bar at your local building supply store. Even some plastic pvc pipe with the lights at each end is sufficient. And it works like a charm. This will give your room an amazing amount of useable light. These lights are hot and it is imperative that you have a fan in your grow space. Just as it is outdoors, you need to have air movement in your indoor garden. Not only will it reduce humidity and cool the space, plants do much better and grow stronger when there is a breeze present. Also as a final thought, just kind of be aware of where you have been before entering your room. Say you were at a greenhouse and were touching plants, maybe bought a few. Wash up before going into your room. Even change your clothes. Because like outdoors those little bastards like spider mites and aphids love warm sunny grow rooms. And to battle them is just a nightmare and a huge task. No need for extra work. There are many options for setting up a space to grow food and cannabis indoors. From dedicated rooms to large enclosed tents there is a viable plan for every size garden. No matter what you decide to grow, gardening is a relaxing hobby with huge benefits. I am actively growing the gardening section on Nutmeg Disrupted. If there is a topic you would like to see discussed here send me an email at Nutmeg Disrupted at gmail.com I would love to hear from you. I seen your cold frame picture the other day Markus! It looks fantastic! Yes, you can absolutely link to this post. Moving the light is a great way to increase your gowning area. And reflective walls are also a great way to reflect back as much light as you can. It takes a bit of work recreating mother nature but with some good planning and unique ideas it is possible to get a lot of concentrated light for growing indoors! Awesome tips! I’m actually working on a windowsill gardening post for this week! I like the idea of a moving track to increase light coverage! Do you mind or if I link to this post for tips on increasing the light available to indoor plants? The love of growing things is just something I fell into after my youngest son passed away. Turned into a passion that has grown over the years. Also was the reason I learnt how to can and make jams and jellies. I was over run with fruits and veggies. I have loved the journey. Agreed Melissa. Even if it is just a few pots of chives and other fresh herbs to add to salads and sauces. It is a great hobby, adds some nice color to your house and inspires many fantastic flavours when you have fresh ingredients on hand. What a great primer! I don’t know why more people don’t do this – even on a small scale with just herbs in the kitchen window. There is always a little corner of space that can give you some home-grown produce.